I have been pinning a lot of plaid and gingham lately. I think interest is on the rise for these and I find myself craving it. 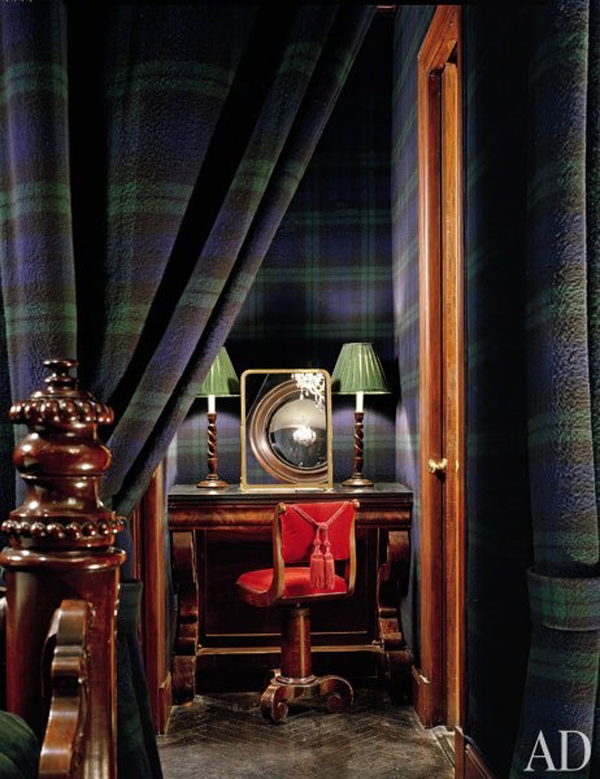 I am especially loving the rooms with plaid walls because they are so rich and cozy. One should always have the one really cozy room in the house. I think for us the library is the cozy spot. And boy would it be even cozier with some of these fabrics. Maybe its because I lived in New England for so many years but this style works for me and I want to incorporate it into my home somehow in some way. 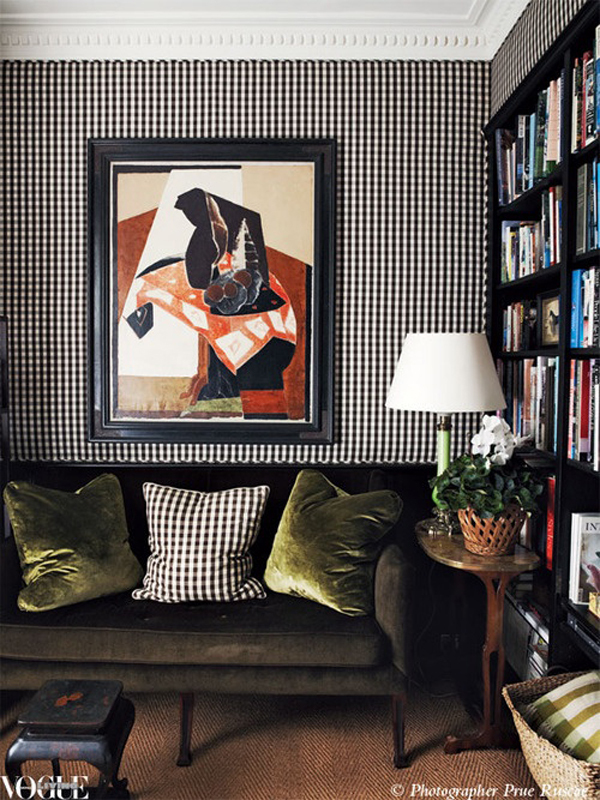 How about this checkered pattern mixed in with green?! Yum! And these beige checkers? Very warm and inviting. I love the Lincoln prints (what a great DIY to get a similar look -take one print and flip it and reprint and hang side by side. I love the symmetry). If this isn't cozy, I don't know what is! And we all know how much I love this photo (from this post here). Great for a boys bathroom. And this Tartan here? Ha! Like living inside your pajamas. I think like in the 5th photo you can take the plaid look and modernize it a bit otherwise it can be a little heavy. What do you think? is plaid for you? I'm thinking in smaller dozes its a winner. 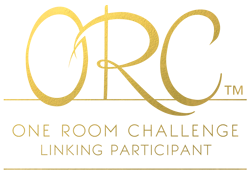 Thank you all for your support and excitement yesterday with the new blogger series I announced. I was actually quite hesitant that the series might be a little "dorky" but as my friend Nicole from Sketch42 said when I ran the idea by her it's "good dorky". I like "good dorky" so I will get the ball rolling. 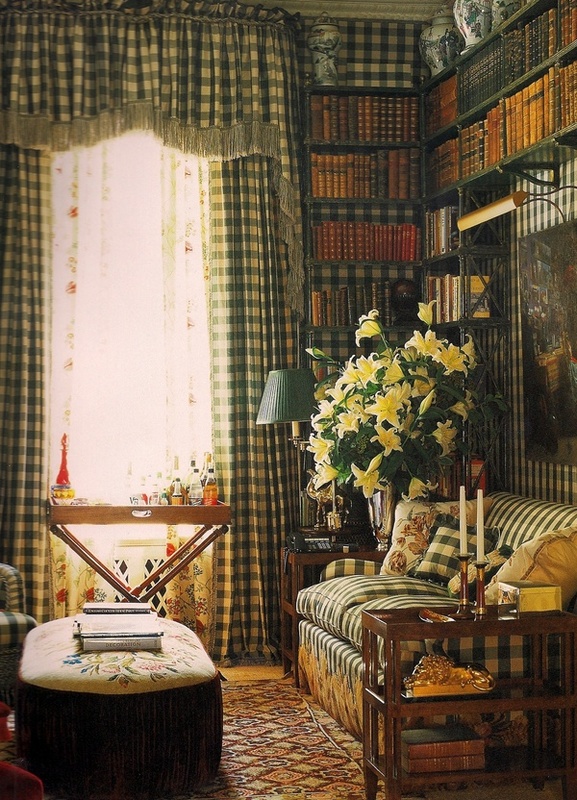 Tags: checkers, gingham, interior design, interiors, plaid, preppy, tartan. I am in love with that first room. Everything about it - it's so classic and cozy - I'd love to hole up in there on a winter night! I agree small doses this definitely works! It adds a bit of country life nostalgia to any room. LOVE this! Plaid is so great, especially for the fall season. 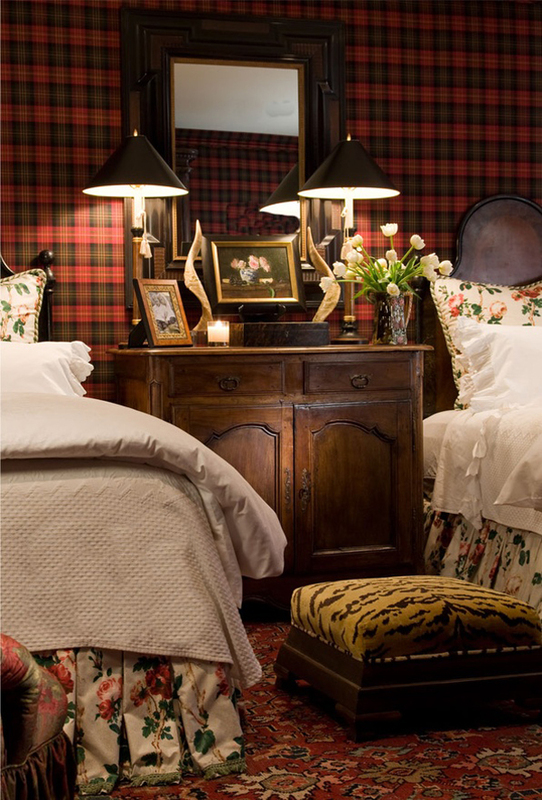 It brings such a cozy and classic look to the rooms! 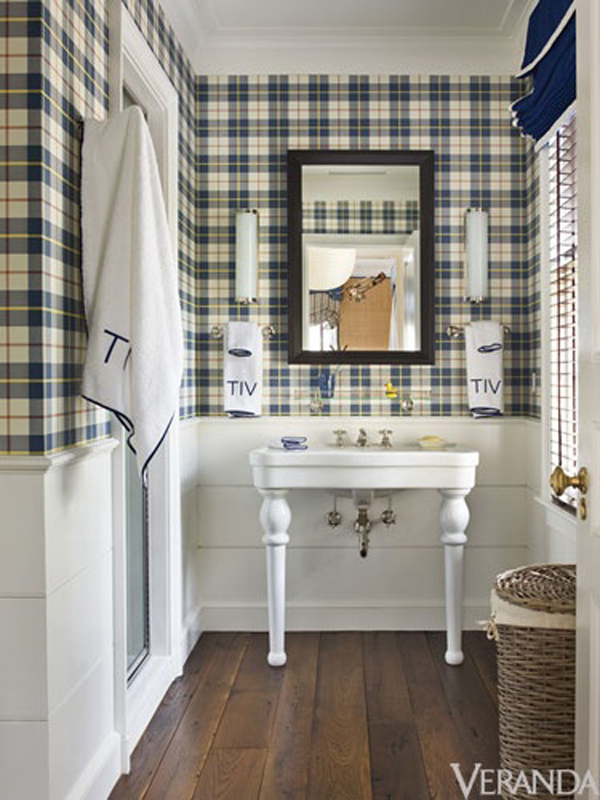 Love the plaid/buffalo check/gingham. For serious!! !